Color faded and worn leather seats of all car brands with our ATG Leather Color "Leather Color", no matter if smooth leather or imitation leather. Refresh the color of your leather seats to make the color as radiant as the first day. The leather color is water-based and free of chemicals. The ATG leather color is NOT suitable for suede. Saphir Beaute du Cuir Shoe-Eze Leather Softener Atomizer 50ml. Pump action atomizer leather softener for relieving your feet when your shoes are too tight. 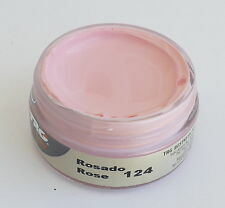 Can be used for all types of leather: smooth and patent leather, suede, nubuck etc. Polishes and Whitens your Leather and Canvas. The Cleaner has a sponge at the top which soaks up the polish from the bottle, which is then wiped over the Leather or Canvas to apply. Active white for leather and canvas 75ml. QUICK & EASY WAY TO GIVE AN INSTANT SHINE TO SHOES. SUITABLE FOR ALL COLOURS OF SHOES. Selvyt Polishing Cloth. The finished effect should leave the surface of the leather as reflective as a mirror. John Bull Military Clothing. We will always go out of our way to source the product you are looking for. 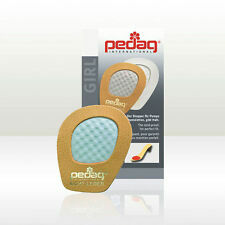 Pedag GIRL insoles add grip to high heels. Pedag GIRL adds grip and also cushions the front of the foot. No more slipping and sliding inside your sandals or high heels. The GIRL leather trim insole sticks firmly to the inside of your shoes. Shoe shine wipes are the quick and easy way to give an instant shine to leather shoes and accessories. Can be used on all colour shoes. Ending Soon. Under no circumstances will goods be accepted back if they are not fit for resale. 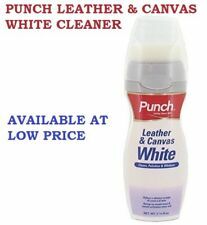 White Punch Cleaner Leather Canvas Polish 75ml Cleans Whitens Shoes. 75ml Bottle. Leather & Canvas Whitener & Polisher. Gives A Brilliant White Finish. Squeeze Bottle Easy To Apply. without asking for help. Pk 40, Jump shoe shine cleaning wipes. Jump Shoe Boot Shine Cleaning Polish Wipes For Leather and faux leather shoes and boots. Shoe shine wipes are the quick and easy way to give an instant shine to leather shoes and accessories. 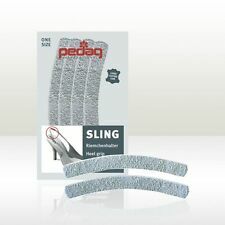 Pedag SLING protects your heels from friction. Attach the self adhesive backing to the slingback on your shoes. No more slipping and sliding inside your sandals or high heels. We will always try to handle your queries as quickly and efficiently as possible. 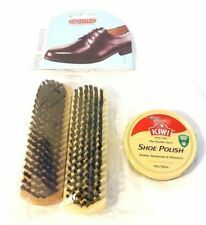 Quick and easy way to give an instant shine to leather shoes and accessories. Special formula protects smooth leather without streaking. Not to be used on Nubuck or suede. Can be used on all colour shoes. Shoe shine wipes are the quick and easy way to give an instant shine to leather shoes and accessories. Also ideal for handbags or purses. Instant Shoe Shine Wipes. Its wipes very quick and easily. Gives instant shine to leather shoes and accessories. Dasco Protector Suede and Nubuck foam cleaner is specially produced for nubuck and fine suede leathers. Dasco Protector Excellent for shoes, fashion boots and accessories. Dasco Protector Invisibly protects leather, suede, fabric and wool surfaces. The soft latex layer cushions your feet and reduces foot burning. For perfect fit, follow the printed size guide on the insole and cut with scissors to the size required. Unisex, fits all sizes, is suitable for all footwear, comfortable and durable in use. Cherry Blossom's Shoe Deodorant Spray doesn't just remove odours from lingering in your shoes - it also prevents odours from forming in the first place! Cherry Blossom Shoe Deodorant Spray. Why not try our Shoe Deodorant Spray?. The world’s No. 1 Classic Shoe Polish. WATERPROOFING WAX FOR LEATHER 125ml. Waterbased waterproofing liquid for smooth leather footwear. A safe product to use on breathable waterproof footwear. It provides instant Durable Water Repellency (DWR), maintains breathability and replenishes tanning agents in leather. SHOE SHINE TRUG. CHALK. By Garden Trading. Shoe Shine Trug. A splendid, stylish, simple Shoe Shine Trug which will. In Chalk finish. By Garden Trading. make a great gift for all shoe lovers. Aesthetic Gifts from Rumpus. New Shoes cleaning brushes out of the factory! This Selvyt cloth is the best cloth available for bulling boots and shoes. Other types of cloth have been tried but the Selvyt cloth has proven the only one to achieve the hih standards required in the military. Black Dubbin. Cherry Blossom premium.